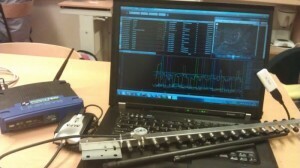 In February and March of 2012, a fellow student and I performed some Wi-Fi data gathering as part of our Bachelor’s thesis. This activity, known as wardriving, consisted of driving in as many streets as possible in the city of Narvik, Norway, equipped with a laptop (running inSSIDer), a 25 dBi omni-directional antenna and a GPS receiver. Last year ago I wrote a term paper as part of the “Applied information security” course at Gjøvik University College where I’m a master’s student. Researching the topic was very interesting, and I thought I’d share my work with the public. One of the most basic things you learn as you begin developing software that handle user accounts and passwords, is the importance of storing their passwords securely. Storing passwords securely is done by storing the result of a one-way cryptographic function instead of storing the password in plain text in the user database. Which cryptographic function you as a developer should use is always an ongoing discussion that changes often. You have somehow reached this personal blog of Espen Didriksen. I like to post about travelling, technology, information security, photography and other stuff I’m interested in.